Two of my favourite thinks, apart from raindrops on roses and whiskers on kittens, are being creative and watching ballet. I love the little Giselle book in this photo. When I was a child in the late forties/early fifties we were only allowed to read it if we were unwell, as a treat. I never saw an actual ballet until my husband and I visited St Petersburg for our silver wedding and we were lucky enough to have been booked a box at the Kirov. The ballet, of course, was Giselle. It was the most beautiful thing I have ever seen. 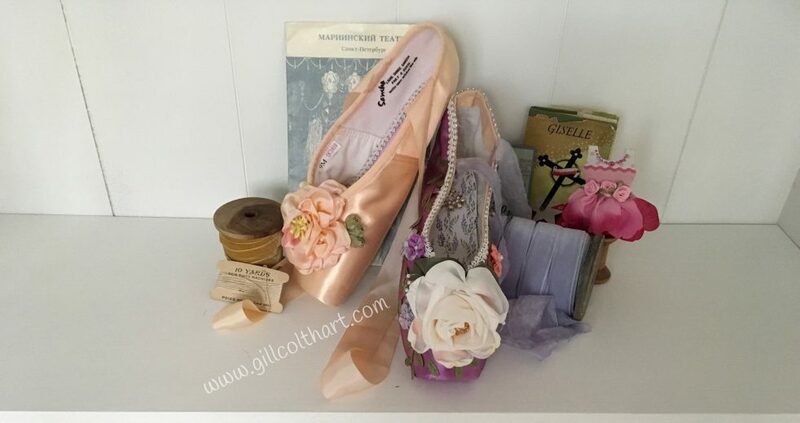 I was delighted when @Grishko recently used a photo of one of my decorated pointe shoes to start a competition for others to decorate a shoe.